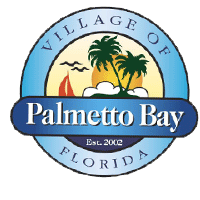 Incorporated on Sept. 10, 2002, the Village of Palmetto Bay is the 33rd municipality in Miami-Dade County. The Village of Palmetto Bay is a vibrant community of more than 24,000 residents who enjoy beautiful surroundings and a family-oriented atmosphere. Situated on the shores of Biscayne Bay, Palmetto Bay offers quick access to unique recreational opportunities and amazing bay vistas. The Village extends from the centerline of SW 136 Street, south to the centerline of SW 184 Street; expanding west to the centerline of South Dixie Highway, including the center “commercial island,” and east to Biscayne Bay. Village residents enjoy the benefits of an extensive park system composed of five Village parks and two county facilities. Our parks offer recreational opportunities ranging from active to passive with an array of programs & activities, and even a neighborhood library. The Village has made great strides to improve the quality of life for all residents. In 2012 as a response to numerous requests for increase in park programming for Senior Citizens, the Parks department hosted a ten week summer program called, “Senior Sampler”. The “Senior Sampler” program ran for 10 weeks and included a variety of activities; Music Therapy, Arts & Crafts, Gold Zumba, Seminars and Lectures, Yoga, Tai Chi and Aerobics. The Village Council has formed several Committees and appointed members of the community to serve; giving them an opportunity to work in collaboration to determine priorities and recommend strategies to achieve a common goal. The Village partnered with Baptist Health in 2011 to offer exercise classes geared towards older adults at Coral Reef Park. Due to the overwhelming attendance we have since added more sessions and opened more classes at other park facilities. Other programs offered throughout the year are Gardening workshops, lectures and seminars in partnership with East Ridge (sessions on Aging and Eating to Avoiding the Fall), Bird Watching, Yoga by the Bay, and Photography Workshops.